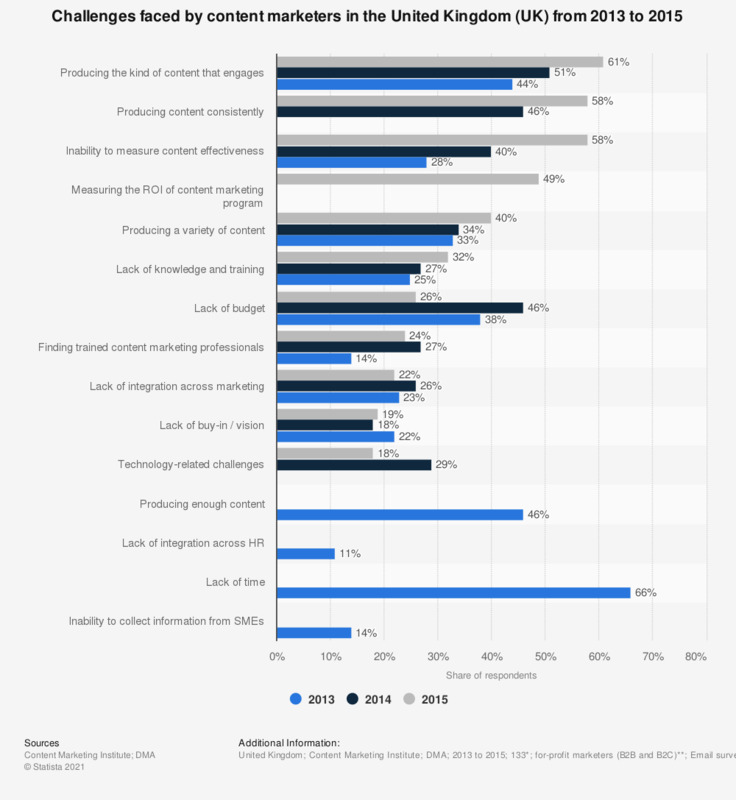 This statistic ranks the challenges faced by content marketers in the United Kingdom (UK) by the share of marketers that faced these challenges from 2013 to 2015. Of respondents, 61 percent cited producing engaging content as a challenge to their content marketing success in 2015. * n (July to August 2013) = 198; n (July to August 2014) = 134; n (July to August 2015) = 133. ** In 2013, marketers were contacted using lists from Content Marketing Institute, MarketingProfs, Brightcove, Blackbaud, King Content, The Association for Data-driven Marketing & Advertising (ADMA), the Direct Marketing Association UK (DMA), Industry Week, and New Equipment Digest. Data for years previous to 2015 were published in earlier editions of the report. Statistics on "Digital marketing in the United Kingdom (UK)"
How do you allocate budget across the customer life cycle? Which measurements do you use to determine a digital campaign's success? What are your key performance indicators (KPIs) for mobile marketing? Which objectives does retargeting fulfil? What are your primary objectives for email campaigns? What is the maximum number of times you contact an address on your e-mail marketing list in one month? Which types of marketing is your organization or agency involved in? If you were shopping online, would you find any of the following to be invasive? Do you follow any brands online?